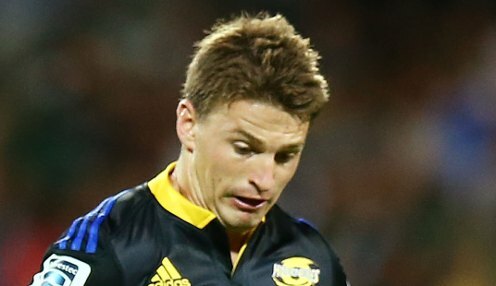 Hurricanes chief executive Avan Lee has defended Beauden Barrett who was criticised for his display in New Zealand's defeat to South Africa. The first five-eighth converted just two of his six attempts off the tee in the 36-34 Rugby Championship loss in Wellington. He also came in for flak for failing to go for a potentially match-winning drop goal at the end of the game. But Lee says Barrett, who's been World Rugby player of the year two seasons running, shouldn't be pilloried for one disappointing outing. He feels some people have short memories regarding the 27-year-old. Barrett had a 30-point haul in his previous game, when the All Blacks beat Australia 40-12. The No.10 has scored 535 points overall in his 68 Tests, while his 112 Super Rugby games for the Hurricanes have yielded 1,118 points. Lee said: "I think everyone knows he had an off-night on Saturday, but we also know how capable he is and how consistent he has been and I'd never question his commitment. He trains as hard as anybody, he's a great thinker and he's a good person." Speaking of the criticism the player had drawn since the defeat to the Springboks at Westpac Stadium, the Hurricanes boss said: "I've got total faith in him, to be honest. But that's the world we live in; if you're a public figure that sort of comes with the territory." Lee added: "Beaudy missed a couple of kicks but, if you look at the whole game, [South Africa] were just better than us." The All Blacks will next face Argentina in Buenos Aires on Saturday week, where a bonus-point victory would mean they retain the Rugby Championship title. Get two chances to win if any Rugby match goes into extra time. Only available to eligible customers. T&Cs apply.